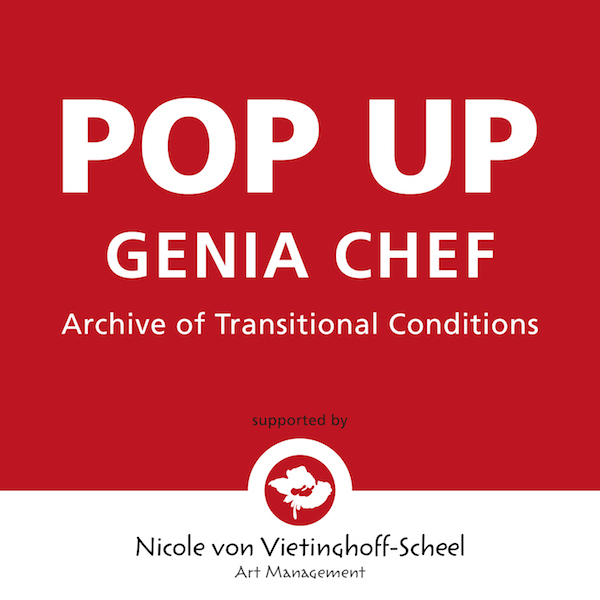 The „Archive of Transitional Conditions“ by Genia Chef has been part of the project „Pavilion Telluria“, realized by Vladimir Sorokin and Genia Chef at Palazzo Corfù during the 56th Venice Biennale in 2015. Genia Chef appears in the role of a story teller with a multi-layered narration – a kind of diary on 200 canvasses, united in the form of a calligraphic archive. It is the first presentation of these works in Berlin.